Since our inception in1965, as a small enterprise in a single and modest office room, PT Jaya Kencana has become a large and successful Mechanical and Electrical Contractor. This has grown from the trust and mutual respect given to us by our customers. We attribute this success to our professionalism, hard work and total commitment to provide the highest return to our customer's requirements of quality, speed, safety, cost savings and energy efficiency. 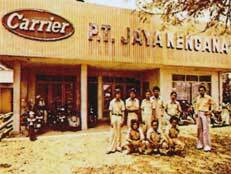 PT Jayakarta was founded by Ir. Harijadi Ramli and Ir. 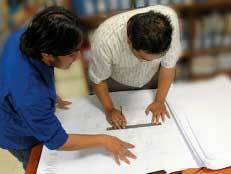 Iskandar Dewanto to do Electrical works. At that time, the total staff included two directors and only four electricians. To improve its image and emphasizing its commitment to the industry, the company's name was changed to PT Jaya Kencana Electrical Company. To accommodate the growing for air conditioning, a sister company, PT Jaya Kencana Air Conditioning Company was established. A new partner, Ir. Herdianto Prasodjo, joined to strengthen the organization. 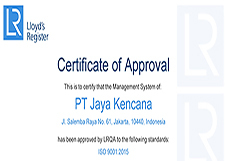 After re-organization and rationalization, PT Jaya Kencana Air Conditioning Company was merged into PT Jaya Kencana Electric Company, and Ir. 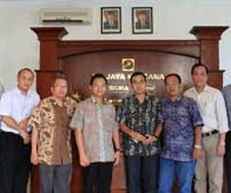 Herdianto Prasodjo was taken in as partner in the company. In 1983, we were appointed the sole agent of Goldstar Elevators in Indonesia. PT Jaya Kencana now has the largest Elevators and Escalators market share in Indonesia.